Your gate. Our system. Your safety. Are you looking for an individual safety gate solution optimally tailored to your application? With our modular safety gate system you can combine the individual components flexibly to suit your own particular requirements. 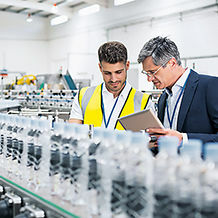 Benefit from economical series connection, fast diagnostics,additional operator and pushbutton elements and an optional escape release. 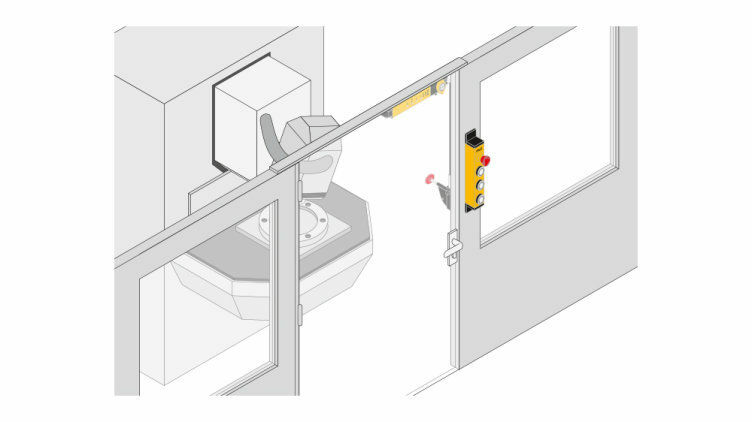 The non-contact safety gate sensors PSENslock give you safety gate monitoring with a non-contact magnetic interlock (500 or 1000 N) in just a single unit. 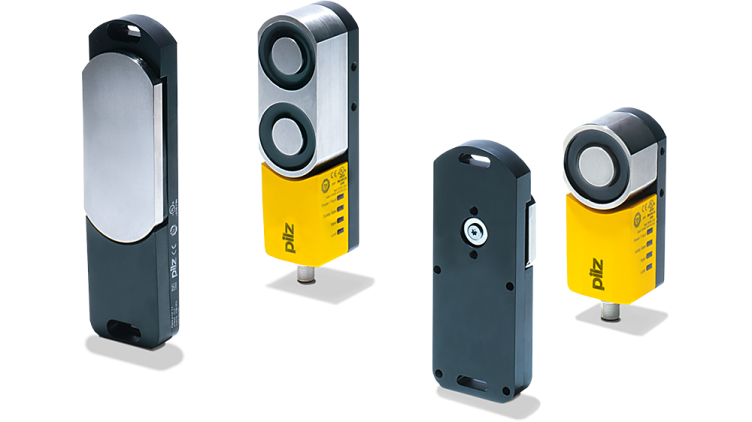 With this combination of safe position monitoring and process guarding, PSENslock are designed for universal use right – up to the highest safety category – and are also suitable for series connection. The safety gate sensor PSENmlock provides a locking force of 7500 N, ensuring safe interlocking and safe guard locking in just one product. 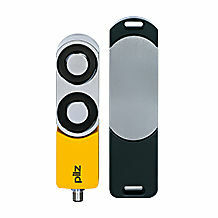 The latter is enabled by the dual-channel control of the guard locking. 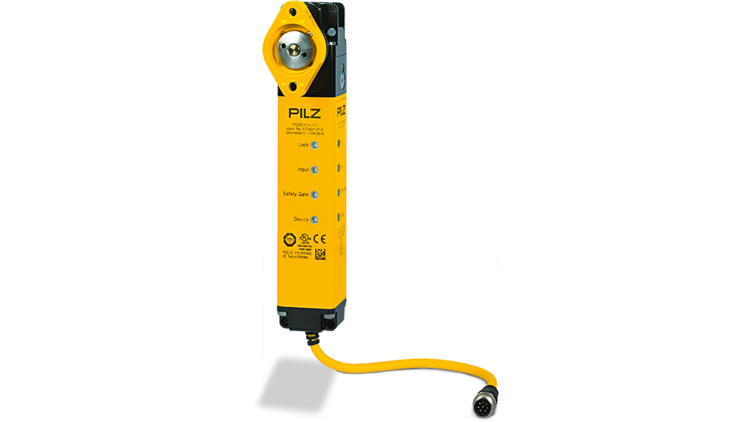 The switch is therefore particularly suitable for machines with dangerous overrun in which guard locking up to PL d or PL e is necessary. Combination with the Safety Device Diagnostics (SDD) allows individual switches and gates to becontrolled separately – without any expensive separate wiring in the control cabinet. 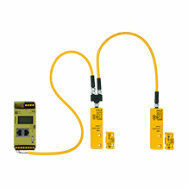 The SDD also enables simple and comprehensive diagnostics of the safety switches, reducing downtimes. As an optional accessory, two versions of the escape release can be combined with PSENmlock: The PSENml escape release is connected to the base unit directly by means of a rod, while the PSENml escape release cordset is mounted on the PSENmlock by means of a push-pull rope. With handles specially tailored to the safety door system PSENmlock, what you get is an economical solution for safeguarding safety gates. Whether it's for a swing door or sliding door: we can offer you the right handle. A comprehensive range of mounting accessoriesis also available. 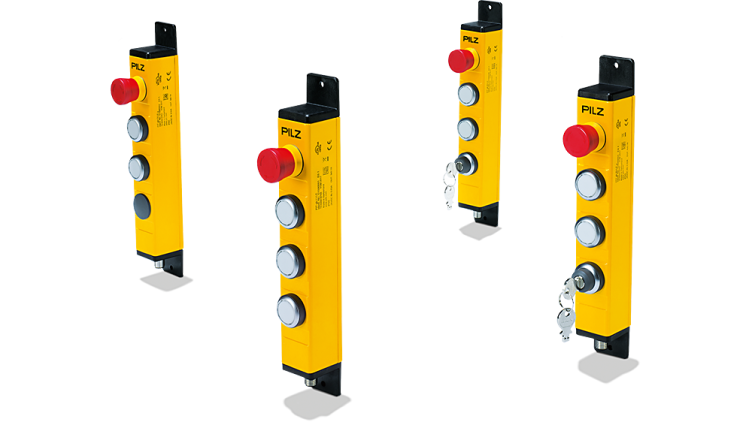 The pushbutton unit PITgatebox can be ideally combined with the two safety gate sensors PSENslock and PSENmlock, giving you additional operator and button elements: from E-Stop pushbuttons and illuminated pushbuttons to key switches and key-operated pushbuttons. The PITgatebox is available in a number of versions and with its robust die cast zinc housing is particularly resistant to shock, vibration and collision. 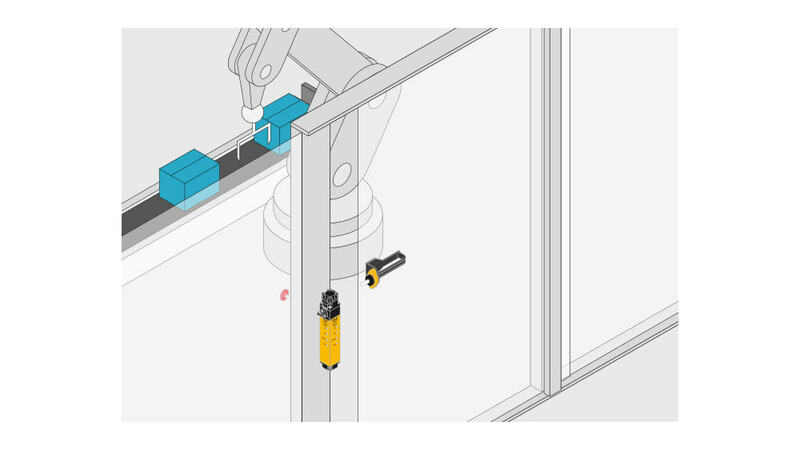 Its slimline housing enables space-saving installation in standard aluminium profile systems. 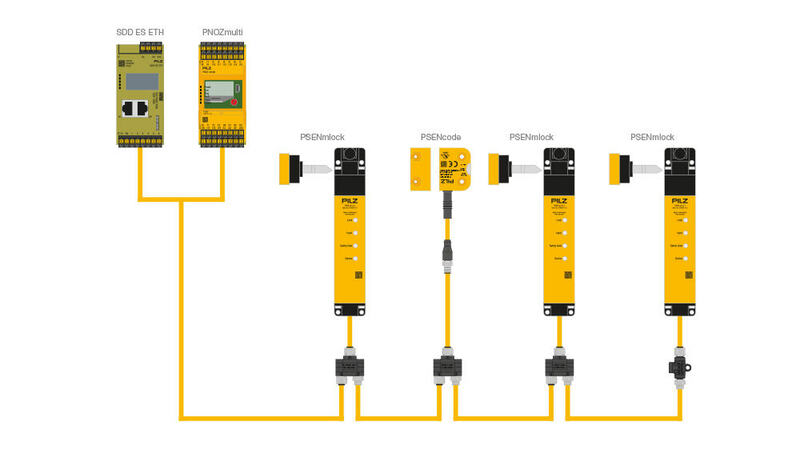 PSENslock gives you safe position monitoring with process guarding in one system. 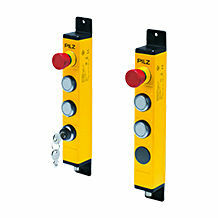 That makes them universally applicable – up to the highest safety category PL e.
The robust control unit with various combinations of pushbuttons, key switches and E-STOP pushbuttons gives you maximum flexibility for your individual application. PSENmlock offers safe interlocking and safe guard locking up to the highest category PL e. Series connection and escape release versions round the portfolio off. 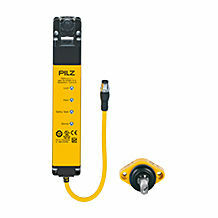 Use Safety Device Diagnostics (SDD) to access advanced diagnostic data from Pilz safety devices. This consists of a fieldbus module plus junction box and safety devices.